With the holidays kicking off this week, it's the perfect time to take the cover off the hot tub and plan family gatherings around warm, bubbly water. Below you'll find some tips and advice on how to make your hot tub a fun part of your Thanksgiving. To encourage guests to use the tub, have them bring their suits and towels. Pick up hot tub accessories like this towel table and stools so there's a place to put towels and drinks and other guests and hang out and visit with the soakers. A small table nearby is a good place to set plates so food stays out of the tub. Consider adding some spa steps with handrails, so grandma and grandpa can get in and out of the tub easily. A sober adult should always be monitoring the tub if there are children or pets in the home. It can be easy to get distracted by Auntie Amy's crazy stories, but it can only take a second for a child or pet to fall into the tub and get into trouble. Consider assigning non-drinking guests as hot tub monitors in half-hour increments. Disallow drinks and food in the tub. In addition to getting the water gross, spilled food and drinks can be a safety hazard and can damage the hot tub's system. Encourage guests to use nearby tables and benches and to exit the tub to eat and drink. Prevent guests from drinking heavily and then using the tub, as they could pass out and injure themselves and others. Eating a big meal can make people drowsy. Throw in a little wine and you have a recipe for a satisfying nap. Keep an eye on the tub after dinner and get sleepy soakers out and onto the couch instead to prevent accidental drowning. Happy Thanksgiving, to All of Our Super Soakers! From all of us here at spasandstuff.com, Happy Thanksgiving! We hope your holiday is full of good food, good company, and good soaking. This entry was posted in Hot Tubs and tagged hot tub, safety, thanksgiving on November 27, 2013 by admin. Most hot tubs come with a set of standard features, but if you are new to hot tubs you may not know what those features are or what they are for. Hot tub anatomy is pretty simple. Below, we've listed and described different parts of the hot tub. Once you are familiar with these, you can better understand what it is you are looking for when shopping for a tub, or you can make better use of your existing tub. Jets are what set hot tubs apart from bathtubs and swimming pools. They truly make the hot tub a hot tub. Jets channel and propel water to soothe muscles, such as in the neck or lower back. Hot tubs come with their jets positioned in a variety of ways depending on the manufacturer and the model of the tub. With jets, more isn't necessarily better. Consider jet placement and your own preferences. There are also different types of jets. Some tubs, such as the Alpine Portable Inflatable, has air-only jets. Other tubs, such as this BellaGrande, has hydrotherapy jets. If you can, test drive a few different types of tubs until you get a feel for what you like. A range of tub sizes exists on the market today, from two-person tubs like this Oval Airispa to 9-person tubs like the BellaMassimo SL. As you might have guessed, the bigger the tub the higher the cost. Maintenance costs, as well, will be higher on bigger tubs. Determine how many people will usually be using the hot tub to decide how big a tub to buy. Consider whether you host parties or have friends over to also use the tub. Remember, a larger size doesn't always mean it can accommodate more people: this Swim Spa is 16 feet long, but only designed for 3 people at a time. Related to the size of the tub is the number and arrangement of seats within the tub. Some tubs come with a simple plastic bench to sit on, while others offer bucket or lounge-style seating like this Paradise tub. Tubs like the Spa2Go don't technically have any seating at all; the bottom is cushioned to provide what is called "open seating". Others, like this BellaGrande, have a dual-end lounger. The size of the tub will limit the amount and type of seats it has. Again, it is worth trying out different types of tubs to determine what you'll like and use most. The cabinet is the exterior of the hot tub. Portable and inflatable tubs don't have a cabinet. Nor do in-ground, permanent tubs. Your typical hot tub does, however, and the cabinet can be made in a variety of materials, from a plastic veneer to a wood finish. Many models allow you to select a color and style of cabinet to suit your home. For example, this Utopia model has a synthetic cabinet available in Espresso or Coastal Grey. Other models may have more choices available. The shell is the interior of the tub that holds the water. Just like the cabinet, the shell can be made from many materials from plastic to granite to marble. What you select is based on your budget and the model of the tub. Acrylic is by far the most common material for a shell, as it is affordable and can be offered in a variety of colors. The Free Spirit Lounger, for example, has an acrylic shell with six color choices. 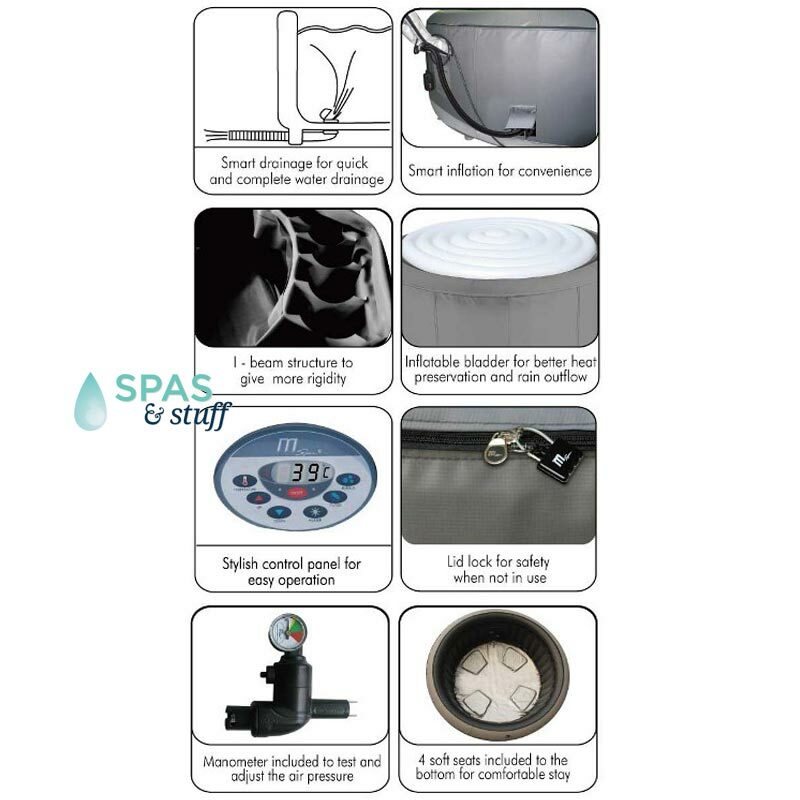 All hot tubs come with a number of parts that allow them to operate properly. Some of these parts include the pump motor, heater, insulation, and filter. The portable and inflatable tubs tend to have fewer working parts, and the larger and more permanent tubs tend to have more. You will want to consider the warranty on your tub's working parts. Keep in mind that the higher the quality of the tub's water heater, and the more insulation used, the more likely your tub is to maintain a constant temperature. Additionally, consider how much energy the tub will use while in operation--some manufacturers offer especially energy-efficient parts or models. To get a good idea of the different parts and what they do, check out this super cool interactive spa simulator. A cover is essential to keep the water in your hot tub clean and chemically balanced. Most distributors include a cover with the tub. However, there is sometimes an additional charge for one. If you have young children or pets who live in or visit your home, a hot tub cover should be considered as a required safety feature. The above features are all considered "standard" and, to varying degrees, essential. For the more adventurous buyer, however, there are additional features that can be included with any hot tub purchase. With a built-in stereo and speakers, you do not have to worry about toting a stereo back and forth or wiring outdoor speakers. A built-in stereo is also designed for use with water, so it is much safer than providing your own stereo. Tubs like the Free Spirit Lounger come with optional stereos housed in the cabinet for safety and convenience. Some tub models have a television that can retract into the tub's wall when not in use. These models usually also include a stereo and speakers and are often available with floating, waterproof remotes. As with the stereo, a built-in television is much safer than rigging up something on your own, as it is designed for use in the water. Tubs like the BellaGrande SLT come with a television, stereo, speakers, and dvd player. It can also access cable and satellite television. This luxury feature provides tranquil sounds and lights as part of your hot tub experience. The BellaGrande SLT linked above is one such tub that offers this decadent feature. Whether you prefer a minimalist tub experience or want all the bells and whistles, make sure you choose a tub that best suits your preferences and budget. We're always available via email or phone if you need any help selecting a hot tub model. Happy soaking! This entry was posted in Hot Tubs and tagged hot tub, parts, features on November 21, 2013 by admin. Everyone wants to enjoy the finer things in life, but the average consumer may not consider herself able to do so. The truth is that with a good budget and smart financial planning many people can afford to treat themselves to luxury goods and experiences. Hot tubs are more affordable than most people realize and making monthly payments on one is easier than one would think. Hot tubs can be as much as $15,000 or as little as $665. Money spent on pool or health club memberships can easily be re-directed to saving for a hot tub or making payments on a loan or a hot tub payment plan. Additionally, by adding a hot tub to your home, you increase the value of your property and save money on gas and time spent going to a gym or spa to use their hot tub. Once the tub is in your home, maintenance on it is just dollars a month. You will only need to buy a few chemicals and measure the water quality on a regular basis. It's easy to learn, easy to do, and costs very little. Pack lunch instead of buying lunch. Make coffee in the morning and use a thermos instead of spending on expensive coffee. Cancel your gym membership and go running outside, climb stairs at a local parking garage, go hiking, bike to work, etc. Shop at thrift stores or consignment stores for brand name garments at cheaper prices. Skip going out for dinner and make healthy meals at home instead. Cancel magazine subscriptions and visit the library to catch up on new issues. Cancel streaming movie services and check out movies from the local library instead. Get crafty and make gifts for people instead of purchasing them. Consider gifting home-cooked sweets, knitted scarves, re-purposed frames, or even gifting your time to help out parents who need a night out away from their kids or a friend who needs a dog sitter. Or, gift a skill you have, like making websites, repainting a room, a teaching a friend how to play guitar. Skip the vacation and explore your home area for places and activities you've never done before. How Soon Can You Afford a Hot Tub? Or view all of our tubs here, sorted by price from lowest to highest. 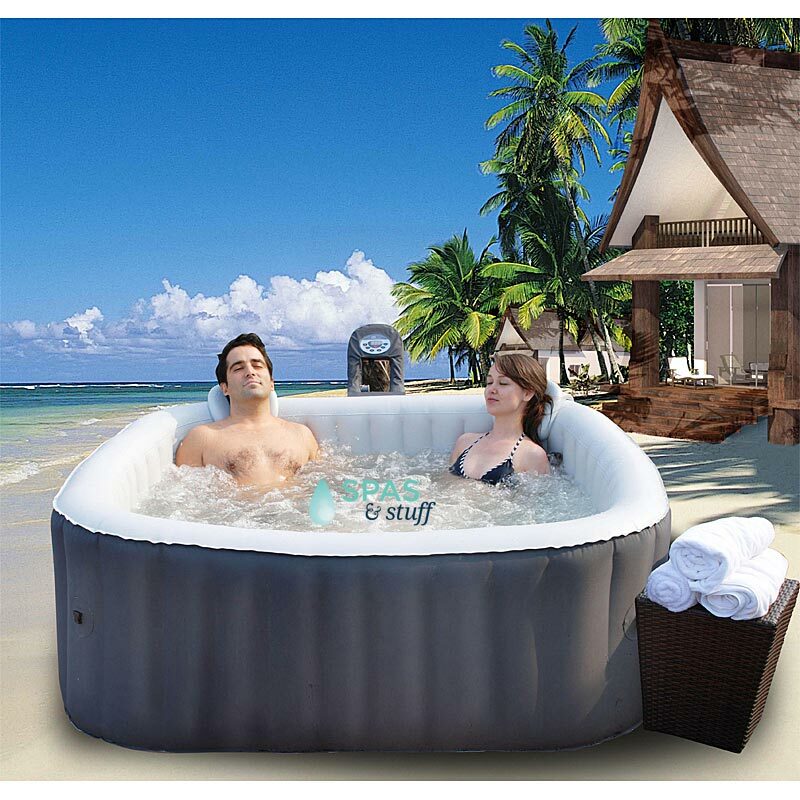 If you have any questions about how to afford a hot tub from Spasandstuff.com, please contact us to discuss options and ideas. This entry was posted in Hot Tubs and tagged hot tub, affordable, luxury on November 14, 2013 by admin. When buying a hot tub, there are a few basics to know when you start. There are two types of hot tubs: self-contained and non self-contained. Typically, self-contained hot tubs are installed above ground and are usually portable, whereas non self-contained hot tubs are installed in-ground and are permanent. Hot tubs are usually heated using an electric or natural gas heater, though there are also submersible wood-fired heaters and solar hot water systems. 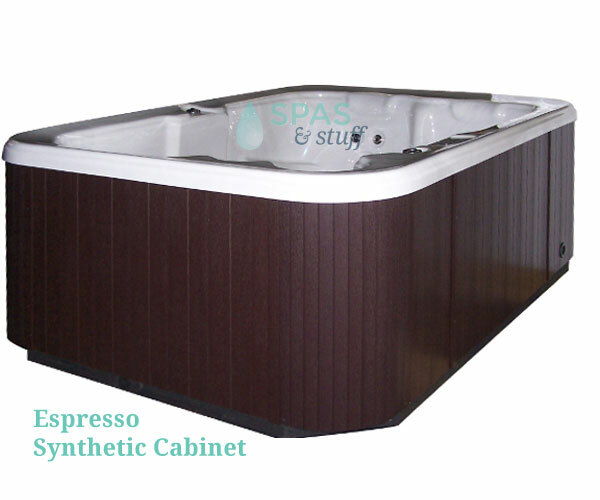 Spa and the brand name Jacuzzi are often used when referring to an indoor fixture. A hot tub is almost always outdoors. Whether you’re looking to buy an indoor or outdoor hot tub, you will want to choose something durable and easy to maintain. Cutting corners can end up costing you in the long run, so save yourself future trouble and do some simple online research. Have some basic understanding of hot tub care and maintenance, as well as an idea of what different warranties will provide by talking to various retailers. A good resource is our blog archives, and you can always give us a call with questions. How many people will use the hot tub at the same time? How many water jets do you want? Tip: For ultimate relaxation, maximize your hot tub's potential with as many jets as you can get! Where will you put the tub? Inside? Outside? Patio? Bathroom? Deck? Basement? Fitness room? Does the area you’ve chosen have enough clearance to handle the size of the hot tub? Does the area comply with your local safety codes? Do you need any permits to place the tub in that area? Will the floor be able to handle the weight of the tub once it is filled and occupied? Read our article on installation to get an idea of the type of weight you need to plan for. Will your power supply require modification? Depending on the space you are working with, there will be different advantages to above floor/ground level hot tub spas or in-ground sunken installations. For first-time buyers, a portable hot tub is often recommended as it is a far less risky investment. Without the worry of installation costs, above-ground hot tubs can be filled with any available water source, they do not require any special plumbing, and they are easy to install and even easier to relocate in the future. If you choose to go with an outdoor hot tub, you may require some professional remodelling as well as proper electrical installation and pumping utilities. Chemicals, filters, and water delivery systems vary widely so be sure to discuss details with a trusted manufacturer or professional consultant. Making educated choices in the beginning will save you time, money, and unneeded stress in the future and help you get the most fun and relaxation out of your hot tub experience. This entry was posted in Hot Tubs and tagged hot tubs, buying, tips on November 13, 2013 by admin. Wherever you decide to place your hot tub, you need to make sure that the location has a solid foundation. The foundation must be uniformly firm and provide a level setting. The recommended foundation is a concrete pad with a minimum thickness of 4 inches with steel-reinforced cross bars throughout. When installing your spa on a wood deck or balcony, the same load requirements must be met. The total load may be as much as 90 pounds per square foot. Remember that your tub weighs about 700 pounds on its own. After you add water and people, it could have a total weight of up to 4,000 pounds. Regardless of the location that you decide on, you need to be sure that the hot tub is not within 10 feet of overhead power lines and that you leave access to the internal equipment. In order to perform maintenance or make a needed repair, you will need adequate space to reach the internal components. If your tub has external equipment, you need to know that most city codes require the equipment to be at least 5 feet from the tub unless they are separated by a permanent solid barrier. If you decide to place your hot tub indoors, you need to understand that moisture will accumulate. The steam created by the tub must go somewhere, and it will leave moisture on your walls, ceiling, floor, etc. You need to make sure that you have really good ventilation. The amount of moisture will vary according to how frequently you use the tub. Ventilation not only helps dissipate the moisture and steam, but it also allows the hot tub chemicals to be circulated out. The odor of the cleaning components can accumulate indoors and even create electrical problem unless the area is well ventilated. The good news is that if you place your hot tub indoors, it will probably stay cleaner and require less frequent chemical treatments. Big tip on installing a hot tub indoors: you should have some kind of drainage system in place! Experts recommend you change the water in your tub every four months or so. You always have the option of running sewage drains to your hot tub, and if you are placing your hot tub on an existing slab you will need to dig up the concrete to build your drain system. Another option that is a little less of a hassle would be to get a small submersible pump. You can use the pump to push most of the water out of the tub, but pumps usually fail to move the last inch or so of water at the bottom of the tub. Some manufacturers build their hot tubs with a water hose connection inside of the cabinet at the bottom of the hot tub. This will enable you to hook a water hose to your hot tub so that you can easily drain the water and move it to another drain or outside on the ground. No matter how well made your hot tub is, it is always possible that after years of usage leaks will occur due to worn gaskets or seals. That water must have a place to go. Be prepared to deal with this if the situation arises. Another thing to consider is that you have to get the hot tub into your house. Measure to make sure that you have enough room to get it into your house and then measure again. After you do that, measure once more! Many companies suggest that you spend the money to have a licensed contractor make sure that the local building codes and load requirements can be met. For many people, outdoors is the best location for a hot tub. Outdoors, there are fewer concerns for the tub. You do not have to worry about the steam and humidity or the chemicals affecting your home. Locating your tub outdoors, though, does mean that you may have to get a concrete pad laid down so that it has a proper foundation. Outside it will get dirtier more easily. Walking to and from the tub, your feet will get dirty and that will get in the water. Leaves and such may end up in your new hot tub. A cover is very important when placing a tub anywhere, but it is especially important when placing it outdoors. Always have a cover on the tub when you are not in it. This is a safety measure to prevent small children from falling into it and it also helps it to stay cleaner. The cleaner the water stays, the less frequently you have to treat the water with chemicals. There are a wide variety of pictures of hot tubs on the Internet being placed outdoors in very creative ways. If you want to invest the money, a stand-alone deck can be built that encompasses the tub. The only limit here is your imagination and your budget. Putting a hot tub in a screened-in porch mostly resembles an outdoor installation. You have to consider some of the factors that go with both indoor and outdoor installations, though. A screened-in porch will obviously allow for ventilation and the steam and humidity will not harm your walls. You will still need a drain put into the floor of the porch if one does not already exist. If the manufacturer uses the water hose connection, this will not be an issue for you. Again, you can find many creative pictures of hot tubs installed in screened porches on the Internet. In the end, the placement of your new hot tub is completely up to you and your preferences. No matter where you decide to put it, be sure to plan ahead. The more you plan ahead, the easier it will be to install and to enjoy. If you are not sure whether or not your chosen location is suitable, you should seriously consider contacting a licensed contractor. Finally, always take into account safety factors when deciding where to put your hot tub. As stated before, a cover should always be in place when it is not in use. Also consider the surface that you will be walking on when going to and from the hot tub. If the path is smooth concrete you may want to put some mats down to prevent slipping. This entry was posted in Hot Tubs and tagged hot tub, safety, installation on November 7, 2013 by admin.